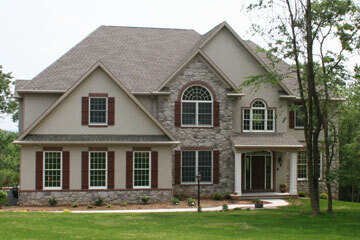 New Construction - Carlton B. Geesaman, Inc.
There’s no better way to start your new home than with Carlton B. Geesaman. We help you through the building process from start to finish to make your experience of planning and building your new home as enjoyable and easy as possible. And because CBG does much of the work with our own equipment and crews, you can be sure that your new custom home will be one-of-a-kind in quality and craftsmanship. 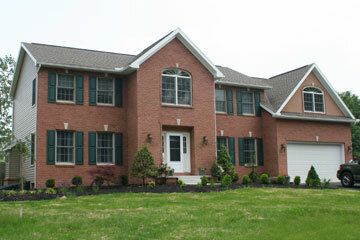 New Construction home located in Camp Hill, PA.
Green building at its finest! Featuring the latest green technologies in insulation, interior paints and flooring. Solar power system for electrical power and heating system. Rain water collection system for gardening water. 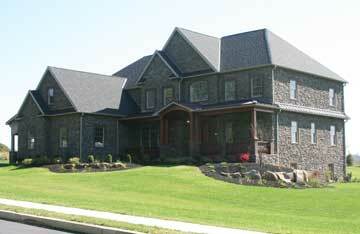 4,300 sq ft home featuring stone and stucco exterior with brick trim and window surround. 2 X 6 wall framing with 7/16” OSB Sheathing. Roof engineered truss system with 5/8” T&G OSB Sheathing. Insulation consists of R21 Wall with Super Seal package, floor has R–21 insulation, R-38 in ceilings. 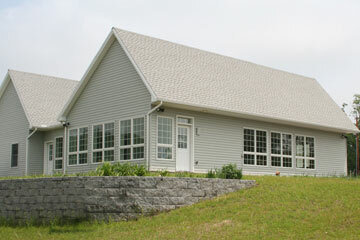 Windows are Andersen 400 Series with Jeldwen exterior doors. This 5,400 Sq. ft., 4 to 5 bedroom, new construction home in the rolling hills of Hummelstown, PA showcases the exceptional craftsmanship that CB Geesaman is known for. The attention to detail is apparent when you first walk up to the exquisite 4’ x 9’ custom front door made of Honduran mahogany and the custom built Honduran mahogany porch railing with Philippine mahogany tongue & groove ceiling. The exterior is surfaced with 100% masonry stone.